In the second part of the blog series Jouko Pitkänen shares his experience of study trip to Oxford and his study progress. It has been some months since I last gave an update on my journey as an Aalto Executive DBA student. As my Russian friends would put it, “vremya letit” - time flies. It most certainly does just that. Time is my merciless adversary in the battle on three fronts: family, work and studies. Still, I have no doubt that were any one of the three missing, my life would be left with a frighteningly large void. Caring for my personal fitness and well-being is intertwined between the three, and those efforts culminated in early June by completing the Stockholm marathon in sweltering heat. It is hard not to make the comparison between that feat of athleticism and the ongoing doctoral studies. Both require stamina, self-discipline, fighting spirit, the courage to dive in the deep end and small, continuous steps of self-improvement. Crossing the finish line can get emotional, and I wonder if my public defense will also end in tears of joy. At the time of writing my previous blog, I was in the middle of setting off for a study trip to the University of Oxford. For the second time, I had the privilege of hearing about the latest research projects in the field of retail trade. Professors Jonathan Reynolds and Richard Cuthbertson and their respective teams are carrying out ground-breaking research on the retail sector, and I am grateful for the opportunity to follow their projects first-hand. Oxford is a truly special city to visit and spend time in, and its academic offering is always of the highest standard. One remarkable aspect of the world of academia is the open sharing of information." In his research, professor Reynolds specializes on the spatial aspects of retailing. After attending his seminar, it is easy to be genuinely concerned over how the disruptive factors that break down the field of retail trade affect the structure and attractiveness of urban centers, property values and employment rates. To be sure, retailing still has a future and will survive as a sector, but the reforms that shake the foundations of its current structures will have a multitude of resulting effects. My particular interests are related to questions on how retailing changes its business models and concepts, as well as how these changes are led. The trip to Oxford and the research projects presented to me were insightful for my dissertation and research in terms of the structure and methodology of research projects and the practicalities of writing “research papers”. One remarkable aspect of the world of academia is the open sharing of information. The sheer wealth of freely accessible knowledge is astounding, and our use of it is limited only by our motivation and goals. The research seminar for our Doctoral Program took place last April. Held under the direction of our supervising professors, the seminars are crucial meetings for us Aalto Executive DBA students. All of us have the highest respect for each others’ work, and the efforts made by the members of the group to find their own niche are admirable. It is true that there is always room for more knowledge in the world, but for those of us working on DBA dissertations, the knowledge we strive to produce must be relevant and serve the needs of today’s business life. The problems and phenomena we study are concrete and plainly visible. For those of us working on DBA dissertations, the knowledge we strive to produce must be relevant and serve the needs of today’s business life." At the seminar, one can also sense the pressure faced by DBA students finalizing their draft dissertations. Each passing day is a reminder that the draft should be handed in for review, but there is still so much left to touch up. My supervisor has reminded me that realistically speaking, a dissertation is written and rewritten about five times. Before it is ready for review, the text continues to change and remold itself along the way. At the same time, my other supervisor, ever the optimist, believes that the draft will be ready for review next spring. From my perspective, keeping both happy will mean more long evenings and early mornings before the ink is finally dry. The required 60 credits of basic studies in the Aalto Executive DBA Program provide a comfortable structure for our studies. The module consists of three compulsory courses on writing technique and research methodology, as well as seven freely electable courses, depending on your research topic and personal interests. Each of the six-credit courses include literature review, writing assignments and meetings with the supervisory professor. The total time required for a course is equivalent to about 160 hours of work. I have completed or am currently attending 90% of the courses, and I intend to finish all courses by the end of the year. If both research work and the writing process progress according to plans, it is not impossible to graduate from the DBA program in three years - even when battling on three fronts. Thanks to their flexibility, the studies can be completed alongside work and family. Thanks to their flexibility, the studies can be completed alongside work and family." The high academic standard of the program is ensured by the triple accreditation awarded to Aalto EE as part of the Aalto University. Back in May, I attended a course titled “Work and career in Business school”, which discussed the value of the Doctoral Program and doctoral degrees, both in terms of the academia and the needs of business life. Are doctoral studies merely a gateway to a career in the academia, an education that produces professional researchers focused on studying and interpreting a single theory? It seems to me that doctors come from two different starting points: those who continue on to a doctorate directly from their master’s studies, and those who first amass years of practical experience in business life. Both serve the scientific community, but the aspects of self-development and continuing education are emphasized in the latter group. Some experienced business managers may choose to delve deep into a key, topical phenomenon in order to obtain internationally valuable intellectual capital to put into use in their personal careers. Doctoral studies are important not for the degree’s sake, but for the chance to learn a systematic method of approaching issues and argumentation that is based on facts." As for myself, doctoral studies are important not for the degree’s sake, but for the chance to learn a systematic method of approaching issues and argumentation that is based on facts. It is also important to fill a gap in research that is relevant and significant from the standpoint of business life. Slightly jokingly, the “battle on three fronts” I referred to earlier has the certain effect that at any given time, I will feel guilty for neglecting at least one of the fronts. This feeling of inadequacy is a constant companion, whether related to family, work or studies. Wishing you a relaxing summer! 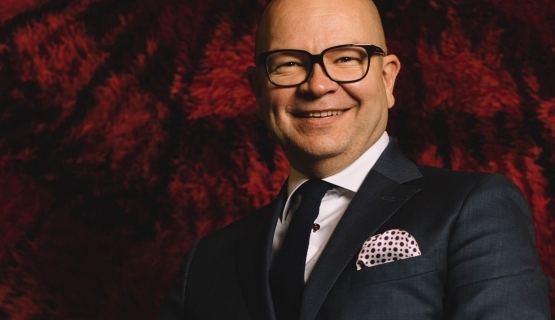 Jouko Pitkänen is Equity Partner at Birn+Partners.